One more member of the Mega family is making his debut as a lead actor. 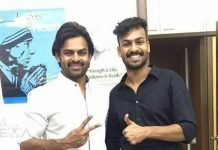 he is none other than Panja Vaishnav Tej, brother of Sai Dharam Tej. The actor is currently acting in an untitled film under the banner Mythri Movie Makers. Sukumar has penned the script for this film and his assistant, Buchi Babu Sana is directing it. According to the sources, the makers are planning to rope in Chennai based beauty Megha Aakash for the female lead role in the movie. At first, the makers finalized newbie Manisha Raj as the heroine but due to some unknown reason, she is being replaced by Megha now. Megha made her debut in Telugu with Nithiin’s Lie. Later, she was seen again with Nithiin in Chal Mohan Ranga. After that, she acted in a small role in Rajinikanth’s Petta. None of these movies helped her make it big in Tollywood. Hence, she is pinning all her hopes on this new project. 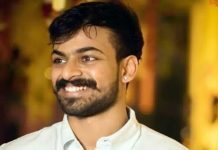 Sai Dharam Tej Does Not Want Brother To Enter Films? 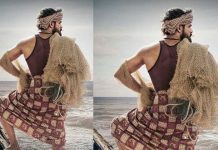 మెగాఫ్యామిలీ నుంచి మరో హీరో ఎంట్రీ!